7 Tips for a Successful Visit at Kings Island! Kings Island is a Cedar Fair amusement park located in Mason, OH just North of Cincinnati. The amusement park is very popular and there are many things that you can avoid/take advantage of to make the most of your visit. I am sharing 7 different tips that will help you have a successful visit. Always arrive to the park early. In case you did not know, the peak time for arriving at amusement parks is between 11 a.m. to 1 p.m. If you are arriving during that time you will face large crowds due to them all entering the park and starting to ride and participate in other activities in the same time window. Arrive to the park BEFORE it opens. That way, you will not face a crowd when coming into the park. You will still have to wait because other people are coming into the park too. Arriving at the park early allows for a good parking spot and fewer crowds during your visit. Never buy your tickets at the park. Especially people who are last-minute people, they like to buy their tickets at the park. This is a bad idea. Tickets purchased at the park are way more expensive than tickets purchased by other means. That right there is not beneficial. In addition, there are less options to bundle things to save at the park. Buy your tickets ONLINE. It will allow you to get the best deal on your tickets and have variety. Only buy your tickets on the official Kings Island website here. Always ride the most important rides first. No matter when you arrive in the park, ensure that you always ride the most important rides first. In other words, the soonest chance you have. It is not a good idea to wait until the end of the day to ride Diamondback because it possibly could break down (it is known to do so during the evening hours). By riding the rides that you want to ride the most first, you are eliminating many possible things that can happen. Common things include inclement weather, mechanical issues, time issues, and many other things. Save yourself the trouble and ride the rides you want to ride the most first. Take advantage of the Kings Island mobile app and free WiFi at the park. When people are visiting an amusement park they normally are not thinking about things that will help make their visit better inside the park. They are thinking about what they need to do BEFORE their visit. Download the Kings Island mobile app. By downloading the app you will be able to view a list of all of the rides, shows, shops, food, and their locations. You will also be able to view wait times and see show times. You can also get walking directions to whatever you are trying to find. The mobile app can replace a park map. Instead of carrying around a map that you will lose, the mobile app will be very helpful. Plus, the park has free WiFi if you need it. Remember what “extra” options are available for those who would benefit from them during your visit. There are many supplementary things that are avaliable for people who would like to skip the waits on rides, have a set dining or drink plan, or photo memories from your visit. All of these things can be purchased. Fast Lane can be purchased for those who want to skip the waits on rides. There is a separate line at Kings Island that lets guests skip part of the line. Waits are significantly shorter. The Kings Island Dining or Drink Plan can be purchased for those who want their food taken care of. With the Dining Plan, guests have increments of time in which meals are separated. With the Drink Plan, there are free refills on drinks every 15 minutes. FunPix can be purchased for those who want photo memories from rides and different locations in the park. On select rides, there are photos taken of everyone from their ride and those can be added to a FunPix account. Other locations in the park also have photo opportunities by a professional photographer. Don’t forget about Soak City – Kings Island’s Waterpark! Kings Island has a waterpark called Soak City and it has many different attractions to experience. On a hot summer day consider leaving the main park and entering the waterpark. Soak City is included with all regular admission to Kings Island. The waterpark has tons of attractions for everyone – thrills and also relaxing attractions. Visit the waterpark for even more things to do besides just the amusement park portion. Take in the sights at the park. You will be doing a lot of walking. When visiting Kings Island do not forget to take in the sights around you. The park has unique landscaping and other attributes that most who visit overlook. Also make sure you are prepared – you will be doing a lot of walking. I hope you enjoyed this post and found it helpful. Using these core tips, your visit should go smoothly at the park. Remember though, your visit will also depend on the weather and the crowd. Those two things can dramatically change your visit. If you need specific advice about your visit, contact me at coastertocoasterofficial@gmail.com. I agree. Great tips for most parks. Thank you for reading, I am glad you found the tips helpful! Great tips for visiting Kings Island ! Can’t wait till it’s opening weekend! Thank you for reading, I am glad you found the tips useful! I am excited for opening weekend in April too! 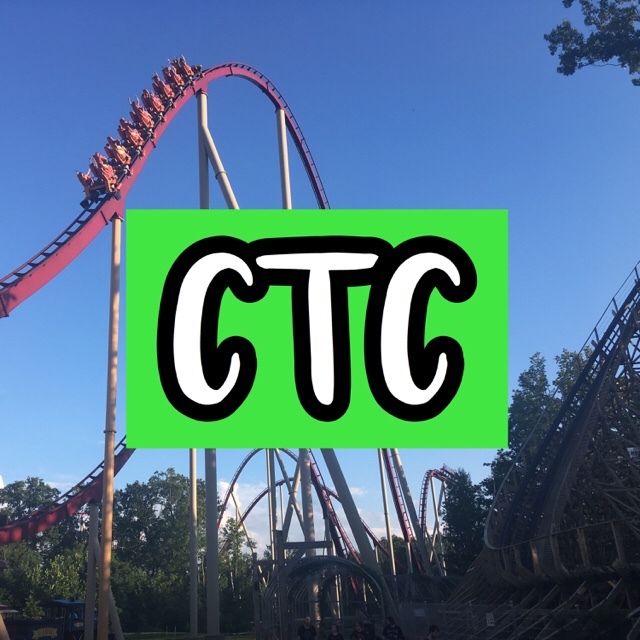 NextCarowinds Opening Day 2019 Trip Report!